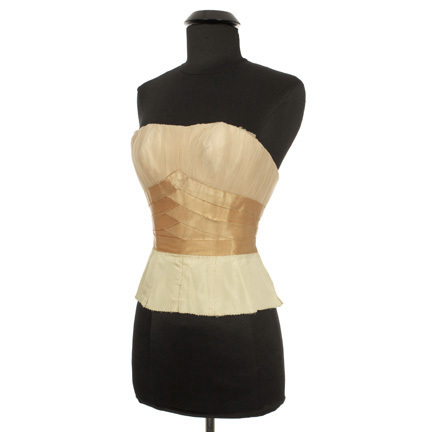 This bodice was worn by the character "Ann Daniels," portrayed by actress Donna Reed, in the 1948 motion picture, "Beyond Glory." 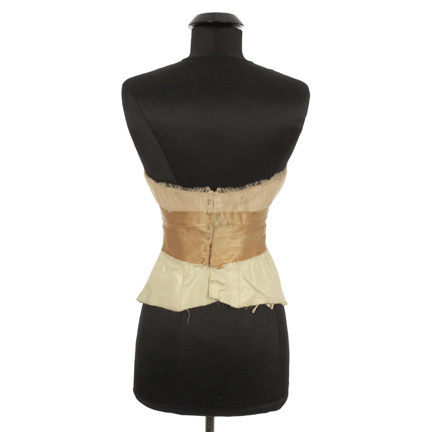 The vintage bodice is constructed of cream and brown satin with netting and has woven satin ribbon details at the waist and gathered tulle at the bust. 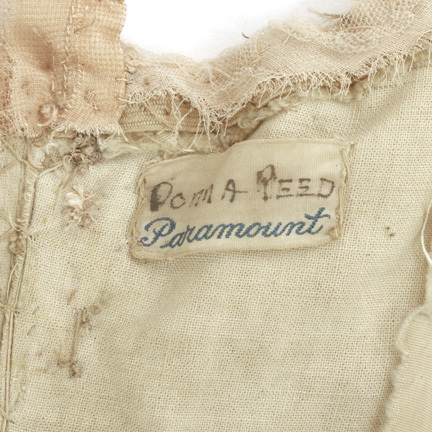 The interior of the garment has the original Paramount costume department label sewn inside with the name "Donna Reed" handwritten in slightly faded black ink. 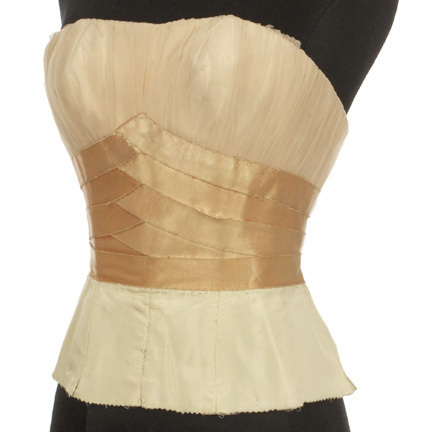 Ms. Reed wore this bodice in the scene where she attends the dance at West Point Military Academy with "Capt. 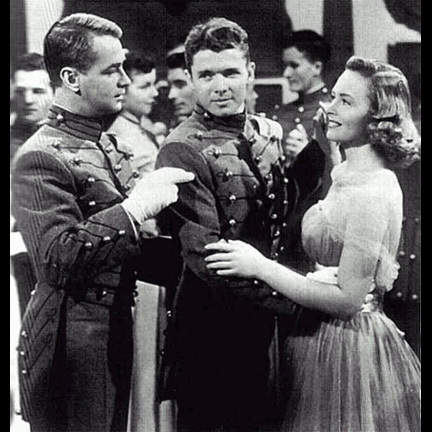 Rockwell 'Rocky' Gilman" (Alan Ladd). 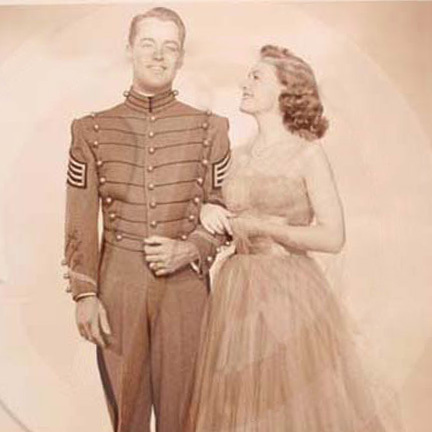 She also wore the garment in several poster images and promotional stills from the film. 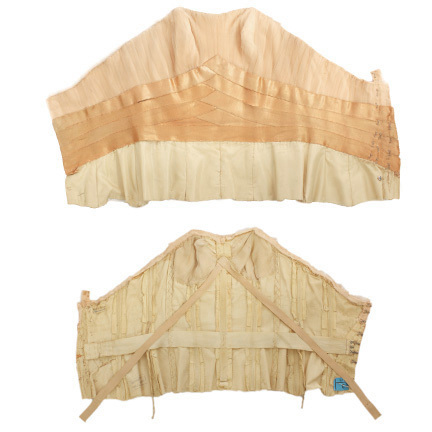 The original skirt was removed and additional hook and eye closures were added to the garment for use in a subsequent production. 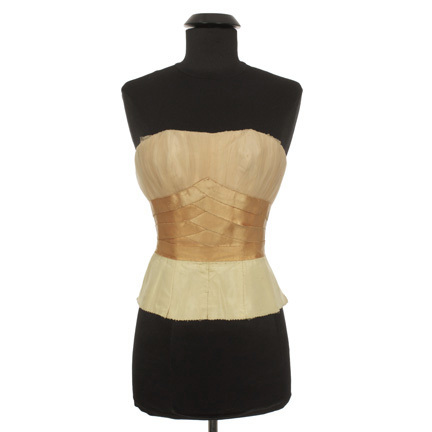 The bodice is in vintage screen worn condition with evidence of age and use. 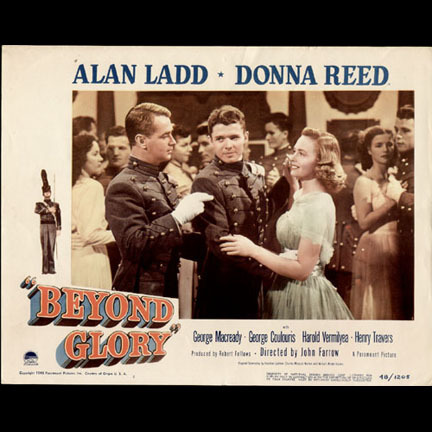 Presented by The Golden Closet, your premier source for iconic screen used wardrobe, props, and collectible music entertainment memorabilia.